The first case of acute flaccid myelitis, a rare polio-like illness that can cause paralysis and mostly affects children, has been confirmed in Florida. 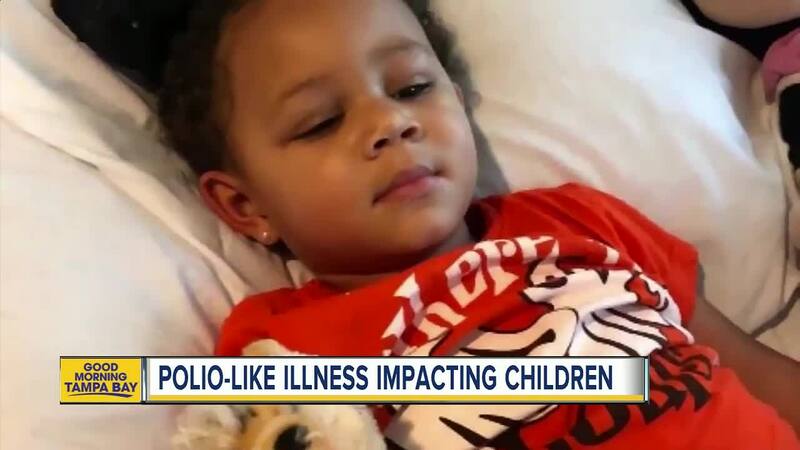 JACKSONVILLE, Fla. — The first case of acute flaccid myelitis, a rare polio-like illness that can cause paralysis and mostly affects children, has been confirmed in Florida in 2018. 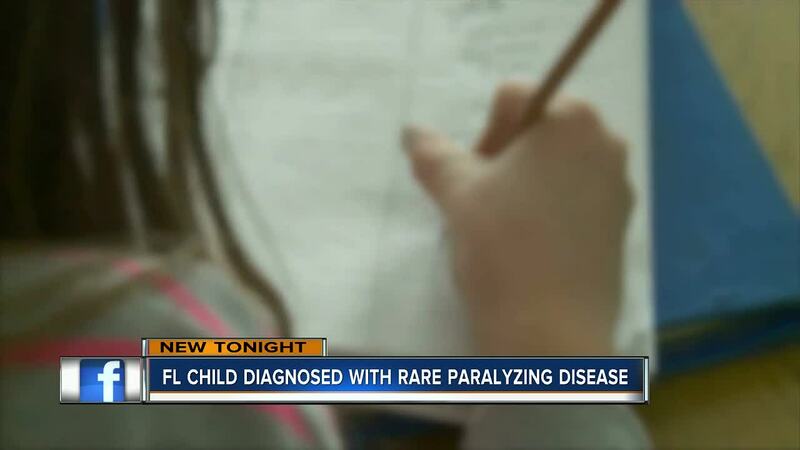 On Wednesday, Wolfson Children's Hospital in Jacksonville confirmed that a 3-year-old girl was recently diagnosed with acute flaccid myelitis (AFM) , an extremely rare condition that causes muscles and reflexes to become weak. "3-year-old Aamira is truly one in a million," the hospital wrote on Facebook. The child's mother, Reba Faircloth, told WFTV that her daughter started showing symptoms for some sort of illness on Thursday, and has been in the Intensive Care Unit since Sunday. “It was just like how a baby learns to walk, and she collapsed and fell to the ground,” Faircloth told the news station. This year, more than half of all US states have had confirmed or possible cases of acute flaccid myelitis. From August 2014 through September 2018, the Centers for Disease Control and Prevention has received information on a total of 386 confirmed cases of AFM across the US; most of the cases have occurred in children. Although symptoms may appear similar to polio, AFM is not polio. The CDC recommends parents seek medical care immediately if their child develops sudden weakness or loss of muscle tone in the arms or legs. While the CDC doesn't know the cause of most AFM cases, it recommends parents help protect their children by following prevention steps like washing hands, staying up to date on recommended immunizations, using insect repellent, covering coughs and sneezes and staying home from school or work when sick. Click here to read more information on AFM.